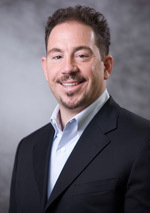 Guy Fardone serves as the Chief Operating Officer of Evolve IP and is responsible for the day-to-day leadership and general management of the company. In this role, Mr. Fardone has helped establish Evolve IP as a respected, award-winning cloud communications provider, both regionally and nationwide. Under his management, Evolve IP consistently achieves year-over-year growth, expanding its customer base by 100 percent or more each year. Prior to joining Evolve IP, Mr. Fardone served as Executive Vice President and General Manager of ATX Communications, where he held various executive and management positions for seventeen years. Mr. Fardone’s responsibilities and influence extended throughout all areas of the organization including strategic planning and execution, corporate management, product development, technology deployment, and customer and network operations. ATX was well recognized under Mr. Fardone’s leadership, receiving notable awards such as “Product of the Year” by Communication Solutions Magazine and the “Enterpriser Award for World Class Talent” from the Eastern Technology Council in 2005. In 2006, ATX was recognized by the American Business Awards as one of the “The Best Customer Service Organizations” in America and the “Communications Company of the Year” by the New Jersey Technology Council. Mr. Fardone was recognized in 2006 by the Philadelphia Business Journal as one of the top regional business leaders with its prestigious “40 Under 40” award. He also resides on the boards for various organizations, schools, non-profits, and county agencies. Mr. Fardone received his bachelor’s degree from Villanova University and currently participates in various Executive Leadership and Management programs. He currently lives in Chester Springs with his wife and three children. In his spare time he is an outdoor sports enthusiast, youth league football coach and frequently speaks publicly about technology and Corporate Performance Management.